Clewiston, known as America’s ” sweetest” town is located adjacent to Lake Okeechobee . The first settlers of the area were native Americans as the area was once used as a fishing village by the Seminole Indians. 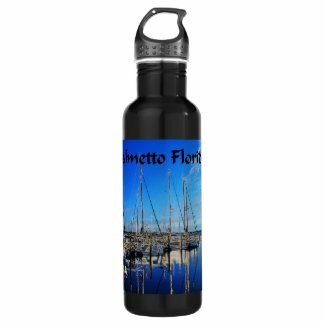 Centrally located, Clewiston is located mid state 60 miles east of Ft. Myers on the Gulf coast and 60 west of Palm Beach on the Atlantic Coast. Reaching Clewiston is easy, just take US 27, it being found on the southwest shore of Lake Okeechobee, the second largest freshwater lake in the United States. The cross-state Okeechobee Waterway offers direct access from either coast for boats up to 120 feet. After arriving in Clewiston, the motels, marinas, and condominiums all have dock space. Located at the gateway to Lake Okeechobee, and despite a half century of growth, Clewiston has maintained it’s small town charm and beauty. The first permanent settlement began in 1920 when John O’Brien and Alonzo Lewis of Tampa purchased a large tract of land to establish a town. Soon thereafter they built the Moore Haven and Clewiston Railroad to connect the community to the Atlantic Coast Line at Moore Haven. Incorporated as a city in 1925, Clewiston would become noted for its sport fishing, particularly large mouth bass. Soon thereafter sugar plantations were established and by the 1950s the cultivation of vegetables, citrus, and cattle were important to the local economy. Because of the fact U.S, Sugar established it’s headquarters in the small hamlet, it gained the nickname,”sweetest town in America”. 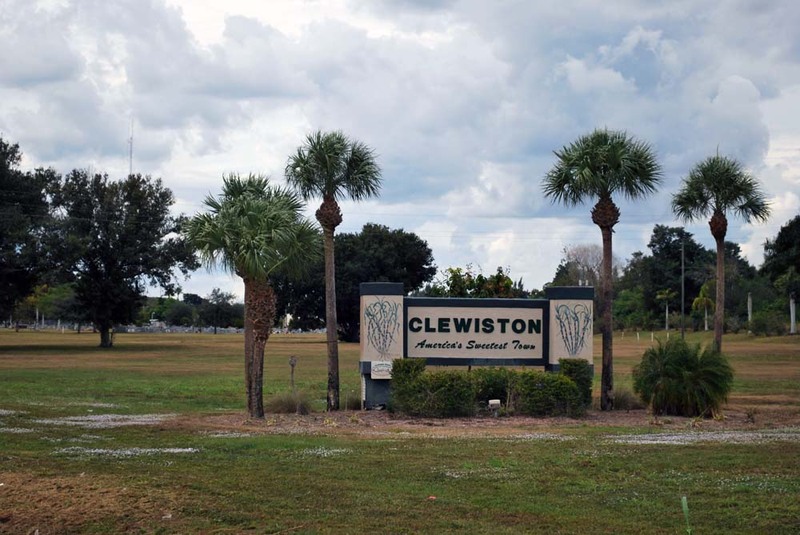 With the small town atmosphere, many health and recreational facilities, small business opportunities, and a temperate climate all make Clewiston an ideal place to retire or raise a family. Gary is a travel writer and photographer living in Sarasota, Florida. He maintains a website featuring some of his travel photos and markets a line of products featuring many of his photos. As our ship entered Miami harbor after a ten day southern Caribbean cruise on the Emerald Princess, I happened to look out our balcony just in time to see the sun peek over the Miami skyline. Sure glad I didn’t miss this one! After taking some clients to Port Everglades in Fort Lauderdale , I decided to take the “back roads” home. Living in Sarasota, I sometimes tire of driving the freeways so I exited I-75 just west of Fort Lauderdale on US 27 and proceeded north. I live on the west coast of Florida and had never traveled through the middle of the state. I began to be pleasantly surprised, the landscape quickly changed to farm land. Miles and miles of very sparsely populated farm land awaited me. It reminded me of Texas combined with Indiana, flat, big sky like Texas, with the green vegetation of Indiana. I drove approximately 70 miles passing through nothing but sugar cane fields, it seemed like I drove 20 miles through the King Ranch, it was harvest time so many produce-laden trucks were on their way to the processing plants. I was getting a little concerned as both my stomach and gas tank was getting empty and there didn’t seem to be a gas station anywhere, either for my stomach or my car. As I approached South Bay, the first town for miles, the crop of choice changed from sugar cane to citrus with miles and miles of citrus trees lining the landscape. South Bay sits on the south edge of Lake Okeechobee , it is a quaint, pretty little town, with a lot of emphasis on “little.” I was through it in the blink of an eye, still no gas station or restaurant! The lake can’t be seen from the highway, although there are plenty of places to pull off where the lake could be observed. However my stomach kept calling me so I drove on, I will do the scenic tour next time. The next town on the agenda happened to be Clewiston, “The sweetest little town in America” , as the sign proudly states as I enter the city limits. Although this is the corporate headquarters of the United States Sugar Cane Corp., it is still rather small. Luckily for me the first business in town was a gas station and the second was a Sonny’s Bar-B-Cue, the home of barbecue chicken,pork, and beef, top it off with garlic bread and a salad bar and it has the potential for some darn good eatin”. If you are in the mood for good barbecue this is the place for you! Now that my gas tank and stomach were both full, I wished I had stopped and checked out Lake Okeechobee, Oh well , next time! Traveling north I soon came to my turn off on Hwy 70, going west the landscape remained pretty much the same, fruit trees and cattle. Arcadia is the only town of any size, it does has restaurants and gas stations! It was torn up pretty bad during hurricane Charley in 2004, but it looks to be totally built back. People had evacuated from the coast to Arcadia during Charley, but the hurricane turned and hit Arcadia broadside. After leaving Arcadia and turning onto Hwy 72, it was a short ride to Sarasota and home. All in all it was an enjoyable ride, providing a good alternative to the freeway and an opportunity to observe the “Real Florida”,as the natives reminisce about how things were before all the Yankees invaded! Believe it or not, I made the trip in about 3 1/2 hours, not counting the lunch stop, which is about how long it would have taken me on I-75. This informative Ebook describes alternative methods of making money often a full time income in photography even if you have no desire to shoot wedding photography. this book gives examples and websites where you can use your photos to supply you with an income, not only to enable you to buy new equipment but a living income.